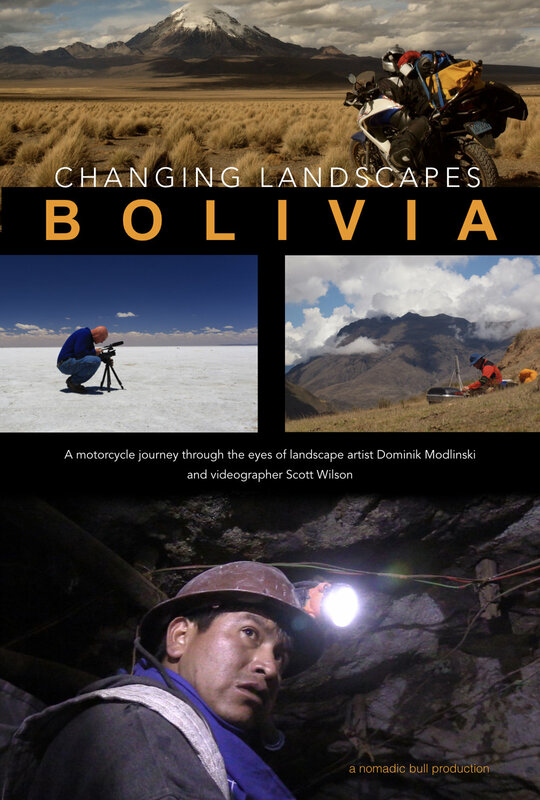 In the fall of 2014 landscape artist, Dominik Modlinski, and travel writer/film maker, Scott Wilson, traveled through Bolivia for six weeks on motorcycle to film Dominik painting in the field. Changing Landscapes Bolivia follows the two friends as they explore the landlocked country, both on the beaten path, and off, from the Altiplano to the Andes, Lake Titicaca to the Amazon jungle, and the world's largest salt flats to the Potosi silver mines. There were mechanical breakdowns, a national election, friendly locals, stodgy food and hotels built from salt. Bolivia, it turns out, was everything they expected...and so much more. Join them and discover this hidden gem for yourself. After picking up their bikes in Cuzco, Peru, Dominik and Scott head to Bolivia via Chile and the UNESCO World Heritage site at the ancient ruins of Tiwanaku. Border crossings, altitude adjustments, freaky weather and wandering Llamas are just some of the things they have to contend with. Dominik and Scott leave Copacabana and catch a boat to the Isla del Sol. With no roads present they hike the island and share the trail with sheep, pigs and donkeys as they check out some amazing Inca ruins. Dominik and Scott's plans change when they discover their planned route hasn't been built yet. Just because it's on the map doesn't mean it exists, so they detour through the Andes to the town of Caranavi where they grind to a halt as the national elections shut down the roads. 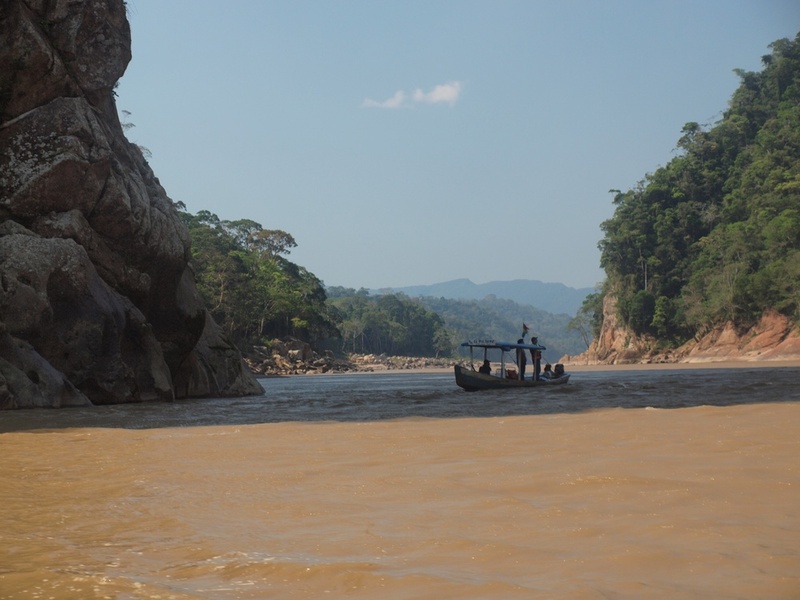 From Caranavi Dominik and Scott head to the town of Rurrenabaque in the Amazon basin. They leave their bikes in town and catch a boat up the Beni river for a three day jungle adventure. Spiders, wild pigs and screaming macaws are their room mates as they bed down in the jungle, then build a raft to float back down river. From the 'Road of Death' Dominik and Scott head across the Altiplano to the UNESCO World Heritage city of Potosi and the silver mines that funded the Spanish Empire. After their underground tour they head to the Museum of Money, one of the best museums in Bolivia, which just happens to be housed in the old mint. From Potosi Dominik and Scott head to the Salar de Uyuni, or the world's largest salt flats. Dominik's bike dies in the town square so they hop a ride across the flats in a Toyota Landcruiser. Join them as they explore the Isla del Pescado, bunk down in a hotel built from salt and rub knees with some mighty fine pink flamingos. Thinking of going to Bolivia for a bike trip, if so then you might want to take a quick peek at the video below. Have fun and ride safe! Riding in Peru and Bolivia can be a little challenging depending on your itinerary. Here are some tips we picked up from six weeks in country.